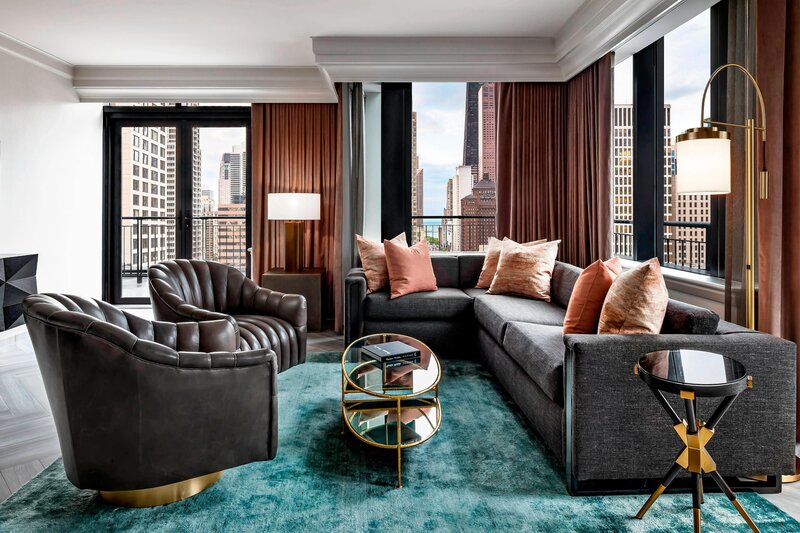 Slip effortlessly into the glamour of downtown Chicago in the 1930’s at The Gwen, A Luxury Collection Hotel, Michigan Avenue Chicago. Inspired by the storied history of Chicago’s grand hotels, The Gwen reemerges as an art deco haven wrapped in 21st Century amenities. Every detail has been attended to, from unrivaled dining to our in-room spa services, 24-hour valet and fully reimagined accommodations with enhanced amenities. Select our hotel&apos;s impeccable function rooms to host business meetings, galas and weddings, where our singular service is exemplified in our attention to detail and exquisite catering. Our historic hotel is perfectly placed near Michigan Avenue to give our guests instant access to Chicago&apos;s famous attractions, jazz clubs, theaters and, of course, shopping on the Magnificent Mile and North Bridge Mall. Home to an illustrious past and the inspiration for future travelers, our Illinois hotel invites guests to enjoy personalized service and luxury amenities for generations to come. The Gwen celebrates the rich diversity of American cuisine and worldly libations in two elegant, inviting dining spaces. 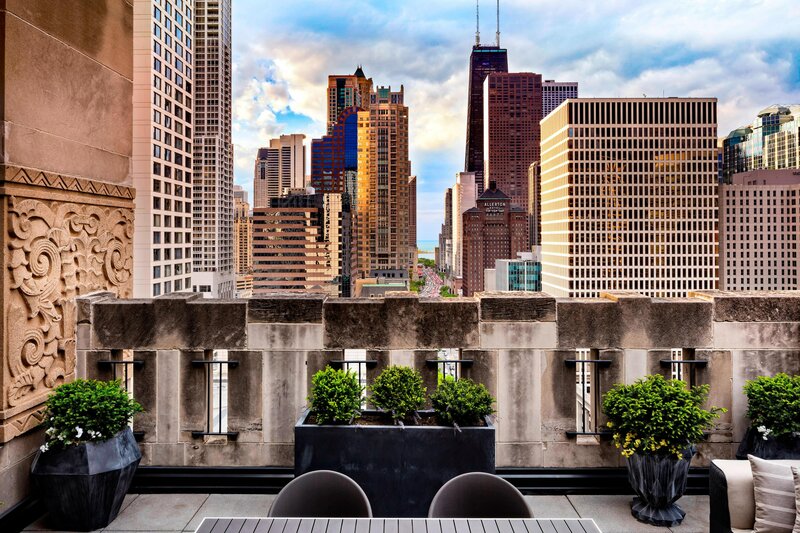 Wind down on our terrace with al fresco dining against a backdrop of Chicago’s sparkling cityscape. Sip creative cocktails and sample seasonal fare by the fire. Highlighting the rich diversity of American cuisine, Circa Restaurant offers breakfast daily in a space that gives a wink to Chicago&apos;s storied past. Fulfilling Gwen&apos;s legacy of unparalleled refinement, our 34 spacious suites, promise distinguished amenities for a flawless stay. 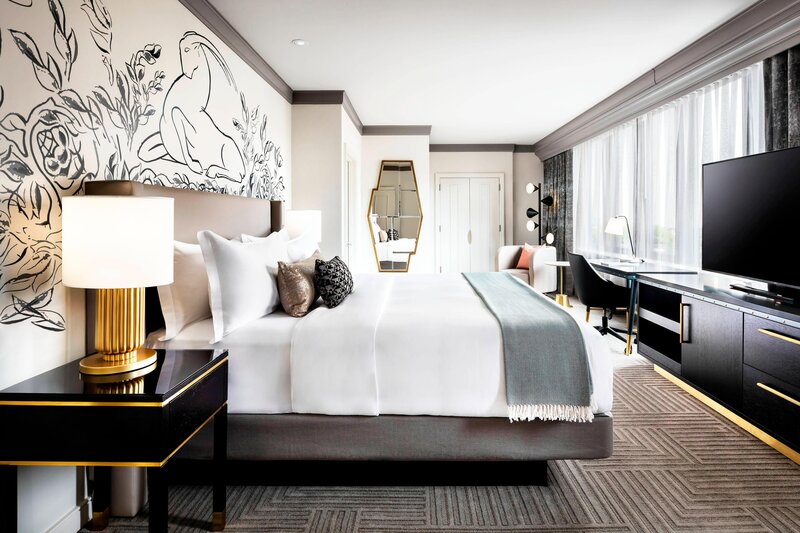 Each room pays homage to the hotel’s namesake, showcasing a custom mural influenced by Gwen Lux’s iconic sculptures and bas-reliefs. Boasting over 15,000 square feet of refined event spaces enhanced by natural light and city views, The Gwen offers a stunning backdrop for any occasion. 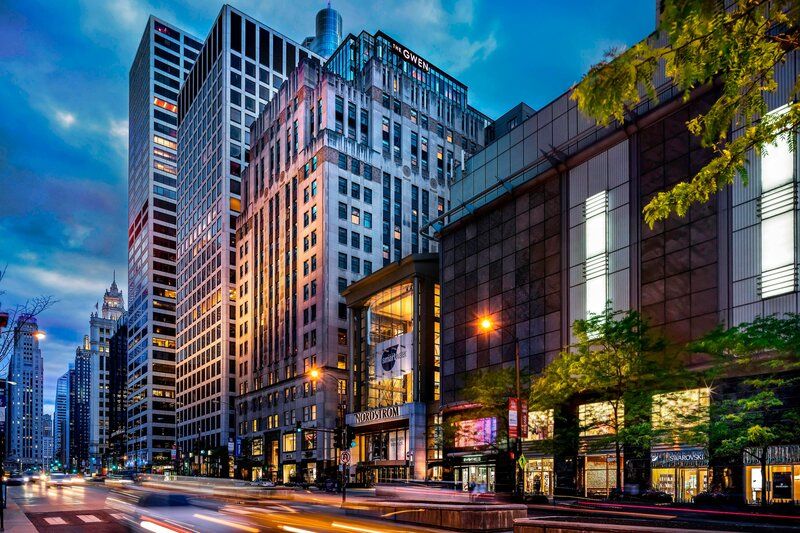 The Gwen’s premier location on Michigan Ave provides effortless access to the Windy City’s iconic landmarks, exclusive shopping, and cultural institutions. The Gwen&apos;s art deco design features elements famously created by sculptress Gwen Lux and brought back to life throughout the iconic hotel.